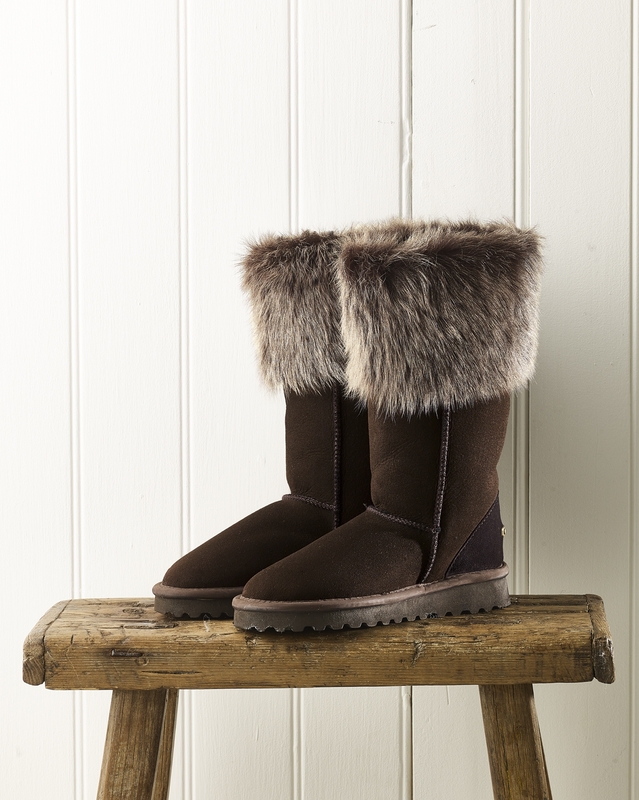 Our most glamorous sheepskin boots are deeply cuffed in luxurious Toscana – characterised by its long, super-soft wool. This handmade calf-length style is finished with double-stitched seams, leather binding and a brass, branded heel plate for extra style. Thrilled with my Toscana boots I also have the matching cape. Beautiful outfits from a beautiful shop. Very pleased. Am absolutely thrilled with my mocca Toscana boots. Took a while to convince myself to buy them but I am so glad I did. They feel amazing - and look even better! Worth every penny. These will be worn and worn. Too bad there isn't a matching coloured Toscana snood otherwise I would have bought that also. Delighted to have found these beautiful boots. 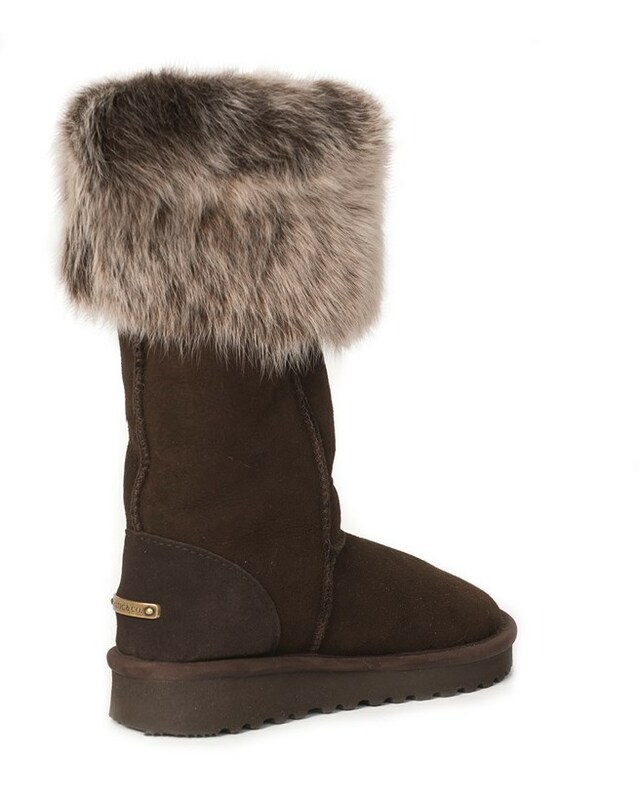 Wonderful boots (mocha). My third pair of celtic and co boots. I live in them all winter! I recommend going a full size down as they do come up a little big (even for wide feet like mine). 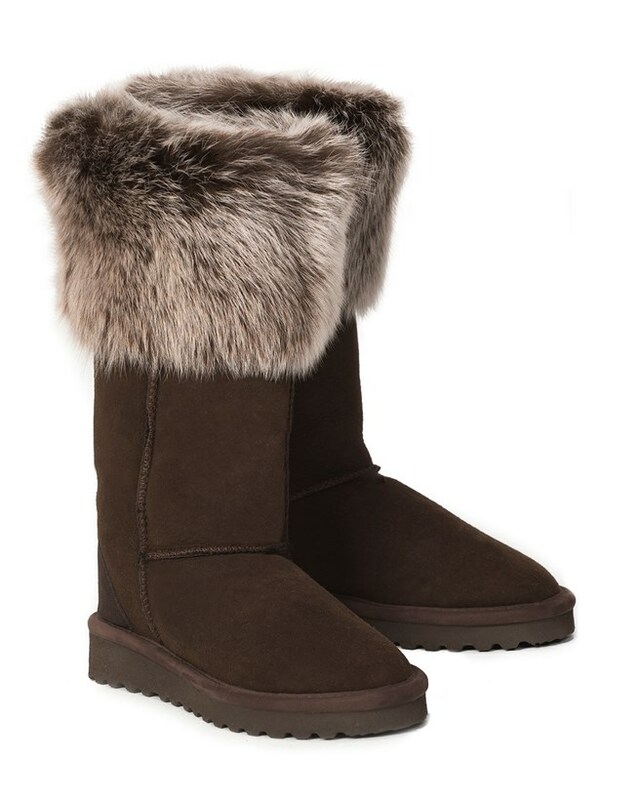 I would love a pair in black with snowtip fur please! !